From texting to browsing emails, mobile phones have become our window on the world. Now the same mobile devices are offering a window of opportunity for African communities trying to build a healthier future. We look at how these devices are ensuring more children have access to life-saving vaccines in Mozambique and Zambia. 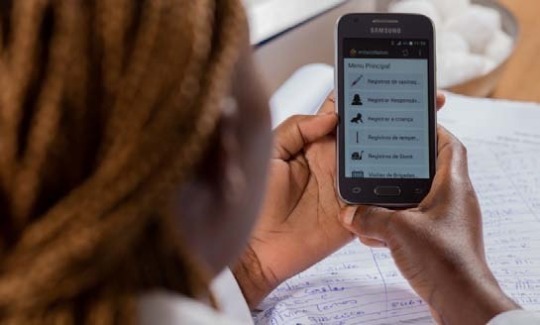 We know apps are capable of many things, but a GSK and Vodafone-supported project in Mozambique shows how they can help overcome one of the toughest challenges in immunisation: ensuring children living in isolated communities receive a full course of life-saving vaccines. 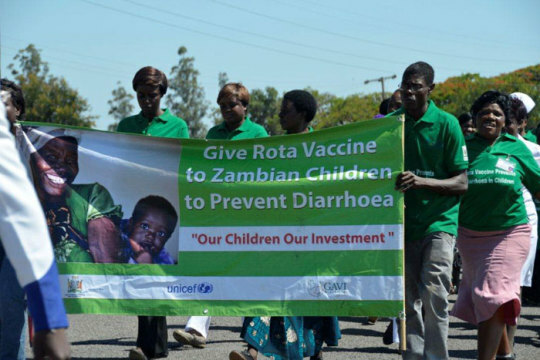 Basic childhood vaccination against diphtheria, tetanus, hepatitis B and Haemophilus influenzae type b means families must make three visits to to the immunisation clinic, often walking long distances, for scheduled jabs of the pentavalent vaccine. Collaborating with 76 health clinics, GSK-Vodafone have uploaded an app on smartphones that send automatic text alerts to remind parents not to forget their vaccination appointment. The same app provides health workers with a full vaccination history for infants under their care. “One of the benefits in using mobile technology is that we don’t lose track of the children,” says Monica Silvero, a clinic technician. The project is currently undergoing an evaluation. Find out more here. At Alejo Community Support Project in Zambia, mobile phones and volunteers dedicated to raising awareness of immunisation make the perfect combination of the technical and the traditional. Even when the supply chain overcomes poor transport and roads to deliver vaccines to remote locations, getting parents to bring their children to vaccination sessions can be just as difficult. To help advocate for immunisation, the Alejo project has trained more than 100 local volunteers to spread the word through traditional advocacy. Mobile phone technology is helping them reach far beyond their local communities. Volunteers send text messages, both to influencers within communities and parents who might need reminding about their next immunisation session. This is even helping volunteers extend vaccine coverage to previously unreached children. Some mothers and fathers who want to know more about the power of vaccines have started using their phones to text volunteers for more information.